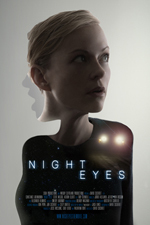 Jack Lance´ story Night Eyes, is playing next week in De FilmHallen in Amsterdam. You can also see the movie on 23th of april in Philadelphia, as it is selected for the Philadelphia Independant Film Festival. Please try and go watch this!